Eating ribs, ripping open a package, and playing sports are all normal activities. Nevertheless, these might all lead to a chipped tooth. A chipped tooth may or may not lead to pain, but it does need to be repaired. In case you or your child chip a tooth, get in touch with a board-certified dentist in Columbus, OH for treatment. At DentalWorks - Easton, our skilled team will perform a comprehensive dental exam to assess your teeth and the chip and then, we offer a customized treatment plan to restore your smile. Read on to learn about the most common ways people chip their teeth, what you should do when you or a family member chips a tooth, how your dentist can fix a chipped tooth, and tips to avoid chipped teeth. There's plenty of ways that you can chip a tooth, but the most common are chewing ice, playing sports without a mouth guard, and accidentally tripping. Playing either non-contact or contact sports present the opportunity for dental problems, including chipped teeth. In case you or your child are not wearing a high-quality mouth guard during any physical activity, you're at greater risk for damaging your smile. Chewing on hard foods is a common way to chip a tooth. This includes hard candy, ice chips, and bone-in meats (ribs, chicken wings). While corn on the cob may seem soft, gnawing on the cob is a common way to get a chip. Your teeth's main purpose is to chew food, thus an easy way to chip a tooth is to use your teeth for some other reason. This could include using your teeth to tear open packages, pull something apart, or anything else that needs to be done with a tool. No matter how careful you are, there will always be unforeseen accidents. Falling could lead to a chipped tooth. Car accidents may also leave you with a chip in your teeth. After you or someone in your family chips a tooth, speak to your dentist in Columbus, OH to schedule an appointment. Unless you're in pain, you probably don't need emergency care and can wait a few days to get treatment. While you wait, be sure to keep your teeth clean with twice daily brushing and flossing. Be sure to remove any food particles that may get caught in the jagged edge of the chip. You may also wish to use an antibacterial mouthwash to avoid bacteria from getting into your tooth. When you have any discomfort or swelling, take a non-prescription pain reliever and apply a cold compress to your mouth. Even in case you don't have any pain and you don't mind having a chipped tooth, you still need to schedule an appointment with a dentist. A chip in your tooth can weaken your enamel and leave you at greater risk for cavities or an infection. 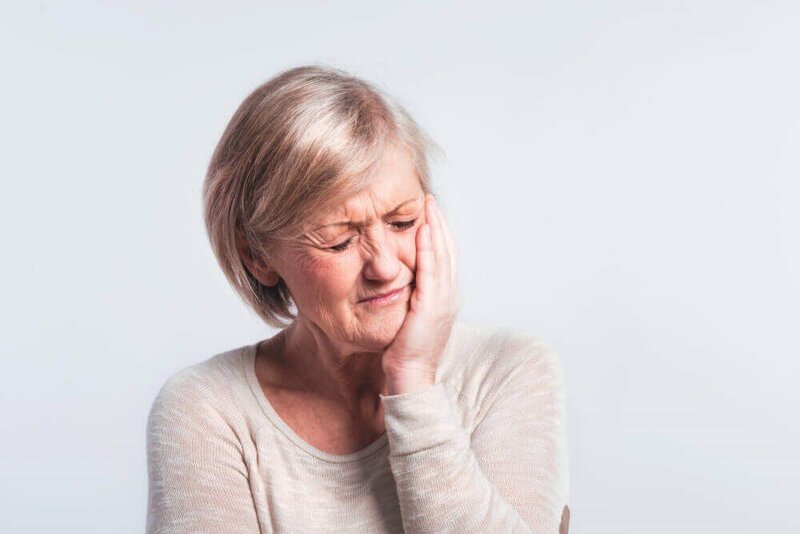 Treatments for a tooth that has been chipped are usually fast and simple, but an untreated chip can cause serious pain and longer procedures, like a root canal or extraction. To select the correct treatment for you, your dentist will conduct a dental exam. They may need x-rays to confirm the size of the damage and they can recommend the correct treatment. Depending on the size and severity of your chip, your dentist can recommend bonding, veneers, or a crown. A dental crown might be needed if you chipped off a larger portion of your tooth. A dental crown is custom made to fit snugly over the entire tooth, which offers more strength and protection compared to other treatment options for a chipped tooth. Depending on where your chipped tooth is, you may want a crown that's made of porcelain, metal, or metal covered in porcelain. To repair little chips and heal the tooth, dental bonding could be suggested. Utilizing the same composite resin used in fillings, a dentist applies the dental bonding material to the tooth to fill in the lost section. After the composite resin is hardened, the tooth can be polished for a result that's natural-looking and smooth. If a chip is not a dental problem, but you don't like the way it makes your smile appear uneven, you may get veneers. Thin covers that are bonded to the front of your visible teeth, veneers are custom made to make your smile look natural, but more attractive. With proper care, veneers usually last longer than bonding, so you might consider this if you're tired of having your bonding re-done. Although you can't avoid accidents, there are a few things that might help lower your risk of chipping a tooth. Stop using your teeth as a tool. Taking the time to use a pair of scissors can end up saving you a lot of trouble when you don't chip your tooth ripping open a package. Stop chewing hard candy and ice. Cut meat off the bone and corn from the cob before you eat it. Keep your teeth strong and healthy by brushing and flossing every day. You also need to continue to schedule appointments at your dentist in Columbus, OH for oral health exams and professional cleanings. Fixing any developing issues, including cavities, will help keep your enamel strong. In the event you or your child plays any sports, ask your dentist about a mouth guard. At DentalWorks - Easton, we offer custom mouth guards made out of high-quality materials to comfortably protect your teeth and gums. In case you or your family have chipped a tooth, please contact your dentist in Columbus, OH to schedule an appointment. At DentalWorks - Easton, we can help fix your chipped smile with bonding, veneers, or a dental crown. No matter which option you select, your team will customize your treatment plan to match your requirements and goals.